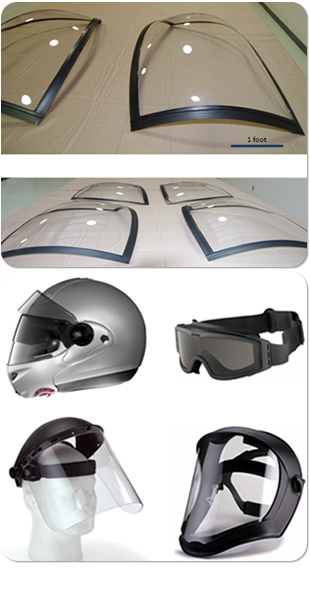 INTER Materials hard coatings protect components that are exposed to extreme environmental conditions including aircraft windscreens, vehicle windshields, pilot visors, face shields, etc. The table below displays the coating performance for polycarbonate and acrylics, two of the most common optical grade polymers in the market. INTER Materials Plasma coatings provide 10 times the durability of commercial grade products. After tests of 20x standard number of cycles, INTER Materials plasma films continue to perform under a 2% haze, far below the ANSI standard of 4% at 100 cycles.